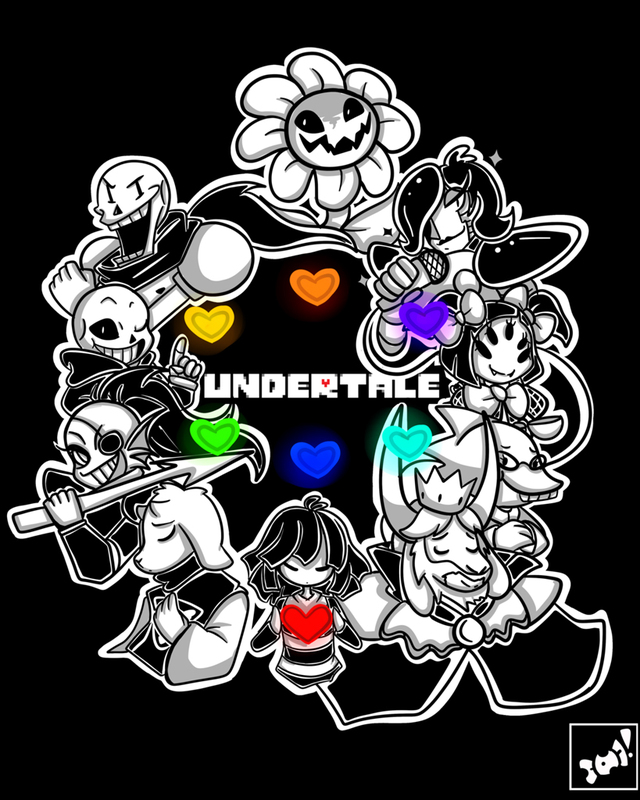 On June 24, 2013, a Kickstarter campaign started for Undertale, an RPG experience paying homage to Earthbound, Shin Megami Tensei, and Homestuck. After about a month of crowdfunding, the game’s modest $5000 request had been fulfilled tenfold by nearly 2400 contributors. The game released on Steam on September 15, 2015 for $9.99. Since then, Undertale has truly become an anomaly. In just a few short months, it has reached arguably unprecedented levels of cult fandom, and it did so as a game produced by a single developer whose background relates more to composing music than making videogames. 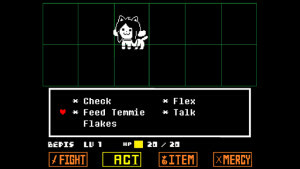 Given Toby Fox’s limited development background it was hard to assume much about Undertale‘s strengths or weaknesses before playing – aside from what would likely be a good OST, given that Homestuck was a noted inspirational reference. Today we’ll dig into everything that made this unlikely campaign into an undeniable classic. The scores we see here are telling of a solid game whose popularity is a topic of intense controversy. Many who played the game couldn’t get into it. Many who played the game were absolutely changed by it. The divide seems to be between those who finished the game and those who stopped early and couldn’t get invested. This theory is supported not only by a boosted critic score (reviewers often require themselves to finish games to completion before reviewing), but also by the game’s most cited criticism: Slow pacing in the early game that often leads to early disengagement. To break down what really makes Undertale shine, we have my friends and indie game developers James Hoag and Doug Zwick, and we’ll follow up with a special critical analysis by ArenaNet content designer Sean Hughes, who helps highlight why Undertale‘s pacing may have been the singular biggest factor in the game’s divisiveness. James Hoag: Many gamers either fondly or not so fondly remember classic turn based RPGs. 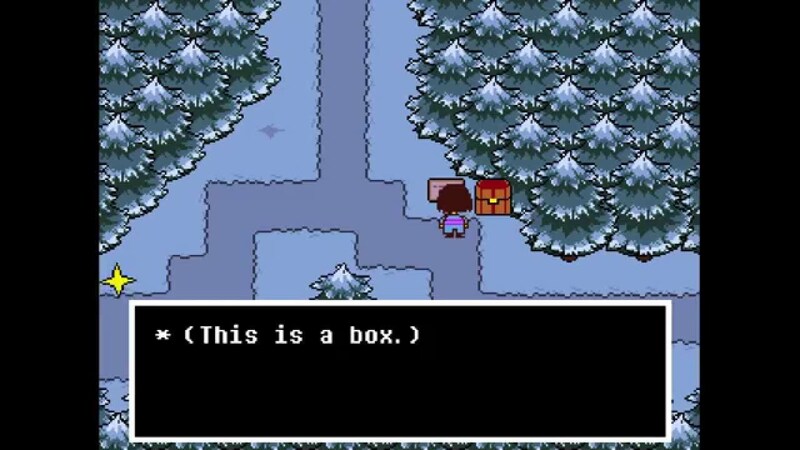 Developer Toby Fox seems to have a nostalgic love for the genre, it is apparent in the execution of Undertale. The game, like its predecessors, has a turn based style of combat. It is a heavily strategic game mechanic, and is considered boring for those that dislike it. 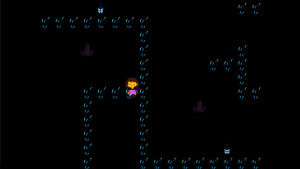 Toby Fox’s twist on the mechanic addresses this issue by borrowing from more active combat systems while maintaining the turn based strategy fans of the genre admire. The classic turn based combat system is basically an efficiency puzzle. At the start of the battle the player has a set amount of points which can be taken away by the enemy during their turn. Similarly, the foe has a pool of points, which the player can remove on their turn. The puzzle is completed by taking the right actions each turn until your opponent is out of points. Figuring out how to successfully complete each encounter is a large part of the engagement of the genre, but it does have a tendency to get stale as you repeat encounters. In Undertale the puzzle is made more interesting because there are two possible outcomes for each encounter. You can choose to destroy your victims, or spare them. The puzzle is made more rich because each solution requires more planning and discovery during the battle than repeating basic actions. That said, this is not a mechanic that broadens the potential audience of turn based combat. Sparing, or destroying monsters facilitates the narrative in Undertale, and does increase player engagement, but not player agency. Turn based combat generally requires thoughtfulness, and strategy, but not precise execution. In each combat encounter the player has a variety of actions they can take to help complete the puzzle. The attack option is often an inexpensive action that removes hit points from the enemy. As long as the percentage of points the player is taking from their enemy’s pool is greater than what is being reciprocated each turn, the puzzle is solved. For tougher encounters items and magic are limited secondary options to attack. These actions can have many effects that will solve the puzzle if the basics are not working. Items and magic can be used to mitigate the incoming damage by reducing the amount of points from the enemies attacks, or putting points back that had been removed. When the enemy attacks the player generally does not get to react until they get their next turn. In this way all damage or effects must be dealt with prior to the enemy’s turn or after. For those that dislike this mechanic it is often the slow strategic pace that leaves them wanting. To counter this slow pace visual effects of the attacks have been the main focus of adding excitement. The idea being, if the player is not doing anything, then they can watch something awesome. We get epic fireballs, but the gameplay is no more engaging. Inevitably after seeing the same attacks countless times it gets repetitive, and the same slow strategic combat is all that is left. Other combat mechanics have held engagement while delivering the same repetitive actions for an entire game. In First Person Shooter combat, or Fighting Game combat, you are doing the same thing from start to finish, except in these games there is no waiting while the enemy takes their turn. Instead you must react and move according to your enemies actions if you want to win. Movement is the addition to turn based combat in Undertale, and it is used right in the dullest part of it. 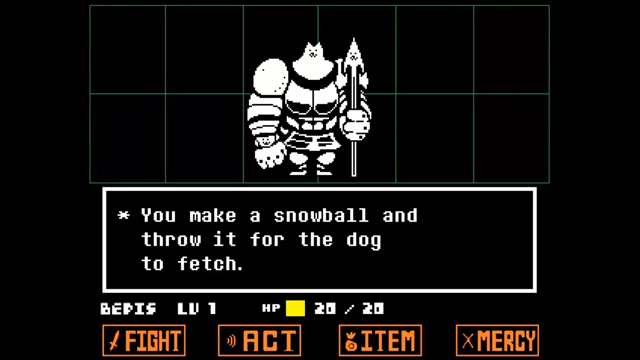 Undertale’s action twist on turn-based combat. Not everything in Undertale is totally new, in fact, most of it is just a well done homage to the genre that strikes the turn based combat RPG narrative adventure chords hard. Adding action and reaction to turn based combat attacks has been done, Super Mario RPG has timed button presses while attacking and defending. This mechanic does add tension to each combat action, but it does not add the same type of combat experience found in active combat games. The missing element is the ability to use movement to react while the enemy attacks. Undertale cleverly addresses this issue adding the ability dodge the enemies attacks with movement while maintaining classic turn based combat aesthetic. Generally, the defense part of turn based combat is the least engaging. As stated before the player can not do anything to stop the effect unless they did something prior to the enemy’s turn. By the seventh fire wave you might expect our hero to dodge one, but they never will. Defense in Undertale is different, when a giant axe swing comes at your little red heart for the seventh time, there is still the time and space to avoid it, and this round you might actually succeed. 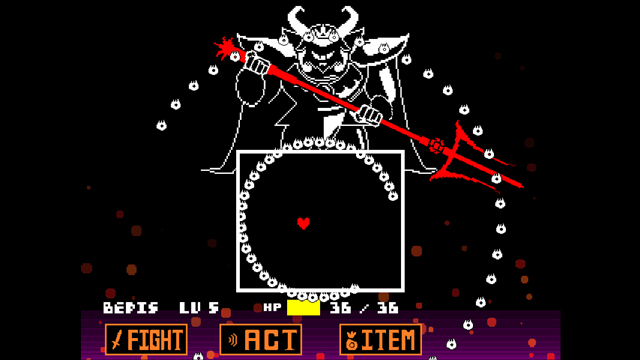 Each enemy’s attack in Undertale starts with your heart appearing a white text box. The heart is you, and the box is your space to move. The enemy attacks through the box with a classic Shoot ‘em Up wave of narratively appropriate bullets. Dodge all the carrots, take zero damage, but get hit by them all and you are probably in big trouble for the rest of the fight against the angry bunny. There are intriguing twists on the mechanic throughout the game as well, so the player is always eager for new surprises, and stays engaged with each encounter until it is finally completed. This dramatic change to what was once the least engaging element of turn based combat, affects the genre for the better, without losing the strategic elements the mechanic has successfully delivered for years. The twist on the mechanic does not fundamentally change the aesthetic of turn based combat in Undertale. It is still the same type of puzzle that requires the player to take turns choosing actions to out duel their opponent. The twist just gives the player agency to move and react to their opponent’s actions. Each enemy is made more engaging because their attacks are not just a visual they are a movement puzzle to be mastered. It lets the player feel powerful when they avoid an entire volley, clever when they finally figure out a trick for completing an encounter they failed several times, and eager to take on the next challenge because they know it will not be the same again. All of that was added to the turn based combat experience by giving the player agency to move out of the way of an enemy’s attack. When a classic mechanic is given the right twist the product is a gem. The key to finding the right mechanic to address, is through listening to the common issues players have with other similar systems. Undertale tackled the biggest issue with turn based combat by adding reaction and movement found in more engaging combat systems. The game achieves this without actually losing any of the strategic aesthetic turn based combat systems have had. The notoriety Undertale has received this year is well deserved, because its twist on turn based combat systems show that they do not have to be inherently boring. Doug Zwick: Let me preface this by saying that I am basic Undertale trash. I played this game a month or two ago and I was enraptured through the whole experience. I will do my best to divorce myself from my fanboydom for the duration of this article. That said, oh man, I really love the Undertale OST. Just as everything in a game is backed by a musical score, everything we do in life is accompanied by an invisible, intangible Emotion Track. Say I get in a car accident, but I’m in love. My emotions are super high, so I might not care so much. An outside observer can’t see my Emotion Track, so they can only look at the events of my life and try to use empathy to deduce how I’m feeling. In a video game (or a movie, or a TV show, etc. ), the soundtrack takes the place of the Emotion Track, hinting at how things feel on the other side of the screen, often much more obviously than the actual events of the story itself. Undertale is rife with emotion, and at least half of it comes from its music. Its OST greatly enhances the mood of every situation. If you play it with the sound turned off, it’s like hearing someone else tell you about the events of their life: you have to step up your empathy game to feel what you’re supposed to feel. This game has a great sense of humor, and it comes across strongly in its music. Sometimes it’s the ludicrous choice of instruments; other times it’s a juxtaposition of some ridiculous situation with music that takes itself completely seriously. Some tracks had me laughing out loud at their sheer inherent comedy. Of course, it’s not all goofy, and when it’s appropriate, it can be mellow, or exciting, or introspective, or suspenseful, or disturbing. T he game itself draws clear inspiration from other titles, most predominantly EarthBound, for which its designer, Toby Fox, had previously written a Halloween-themed ROM hack. The soundtrack shares in these inspirations both in style and in instrumentation, with nods to Off, Chrono Trigger, Mega Man X, Cave Story, Yume Nikki, and more. One memorable scene is a recreation of a certain opera from a certain Final Fantasy title. The accompanying music is beautifully faithful. The entire score was composed by Fox. He really knew what he was doing when he wrote it. Leitmotifs are everywhere: dozens of themes creep their way into your ear from every corner of the game, with a callback here to a track you heard earlier, and a call-forward there to one you’ll hear at the end of the game, but with a totally different feel. Fox does not seem content with composing a theme and using it in a single setting; rather, he fully explores each melody, putting it to use in different ways and for different purposes, so that when it comes up again later, you might not recognize it directly, but it will sound like a familiar old friend. Really, that’s what all of Undertale’s OST is: an instant old friend. Sean Hughes: As great as Undertale‘s narrative experience is, the delivery of that experience is inhibited by the game’s poor pacing. Players who may otherwise really enjoy the story often grow bored and quit playing, well before they can become invested in the narrative. The first major pacing issue lies with the game’s tutorial, which encompasses the area known as the Ruins. This isn’t very surprising; building an engaging tutorial is notoriously difficult, and many otherwise great games have poor tutorials. In most cases this could be forgiven, but in Undertale, the simple encounters and basic puzzles are separated by long, boring hallways that are quite literally nondescript. Combined with the fact that the tutorial itself is longer than it needs to be, the Ruins end up being the most boring area of the game – not a good first impression to leave on your player. Trimming down some of the excess traversal would probably solve this; It’s not teaching the player anything, and it’s not engaging, so it doesn’t have much of a point. Things pick up once the player leaves the Ruins and enters Snowden. Here the player is introduced to a large number of NPCs, almost all of them quirky and interesting, who are a welcome relief from the Ruin’s monotony. Between these NPCs players encounter interesting battles and puzzles which break up the dialog, vastly improving pacing and making Snowden a truly engaging experience; it could even be said that Snowden is where Undertale begins proper. Arrange the rooms so you only need to pass through the dark room puzzles once. Leave the dark room puzzles lit up once you’ve solved them once, in case you need to re-traverse them later. Put the merchants in more convenient locations, instead of leaving them out-of-the-way. Thankfully there is a save point right before the boss, but if she proves too tough for you and you want to buy some healing items from one of those merchants, you need to – you guessed it – re-traverse the dark rooms. Oh, and the entire time you’re re-traversing those rooms you’re being thrown into random encounters that don’t progress the story at all. All of this adds up to a very tedious, annoying zone which could probably be cut to half it’s size without losing much narrative or gameplay. Thankfully, the zone which comes next, Hotland, has some of the best pacing in Undertale. While Hotland is also filled with a large number of traversal puzzles, each time a player completes one they unlock that floor in the zone’s elevator, so they never need to re-do the puzzle. Players also meet Charon here, who is a boatman that will take players back to Snowden or Waterfall if there is anything they wish to revisit there. These fast-travel options drastically enhance the pacing in Undertale, and if the whole game had pacing similar to this I expect there would be almost no complaints. As it is, however, this is over two-thirds of the way through the game, and players may have lost interest long before. The last two areas, the Core and the Castle, are both short yet interesting, and both also contain elevators to speed up re-traversal. These aren’t strictly necessary here, since players only need to pass through once(or twice if going for one of the special endings), but their presence certainly doesn’t hurt, either. 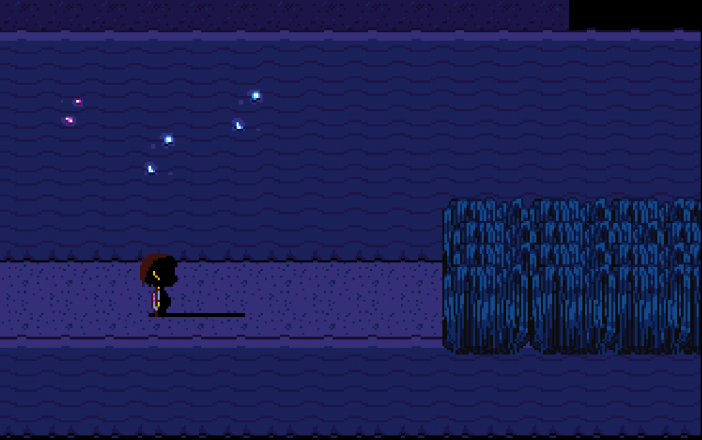 Ultimately, while Undertale has some areas with good pacing, it’s the poor areas that stick out in player’s minds. In some ways the good areas are unfortunate, because they showcase just how good the pacing could have been, yet are positioned right next to some of the worse offenders. This glaring contrast does little to relieve the frustration players experience from Undertale‘s pacing. As a game influenced by Homestuck, Undertale‘s OST naturally benefited from Fox’s experience composing for the former. The wildly successful combat system, however, was an unexpected home run that helped transform a standard RPG into a game that made each new encounter feel unique, significant, and rewarding. Even still, overlooked pacing decisions in the early stages of the game prevented Undertale from reaching even greater audiences and critical acclaim. At this point, the real question on my mind is “what is next for Toby Fox?” With Undertale‘s appeal being so centered upon its originality and character, it’s hard to think that a sequel would be able to deliver the same emotional experience. Regardless of the IP or genre, I’m sure we’re all eager to see what he does next.